﻿ VIDEO: Brandon Mason's Reef Jar, ca. 2007! 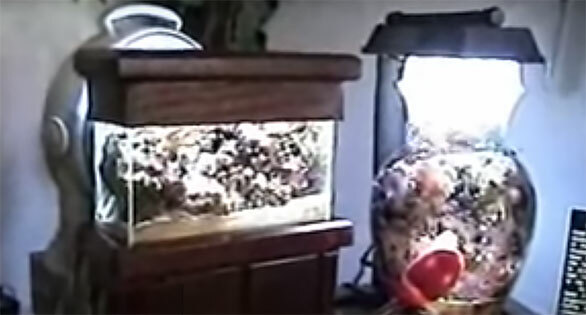 This video, now 11 years old, demonstrates the history Mason has with keeping the smallest of reef aquariums using nothing more than light, air, and routine water changes. Watch as he takes you through a 1-gallon vase reef and a custom-built half-gallon (yes, 0.5 gallons, 2L) miniaturized rectangular-style reef tank. Note: the footage of the tanks cuts out around the 5-minute mark. VIDEO: Rising Tide Success - Breeding the Banded Butterflyfish!